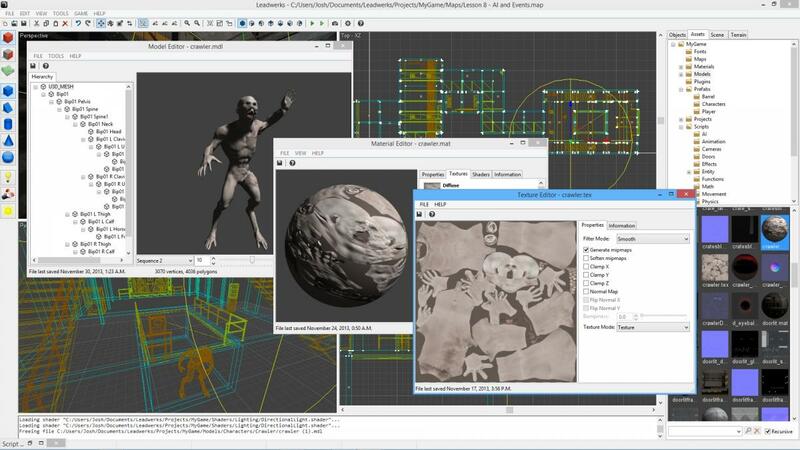 A demo version of Leadwerks Game Engine has been released on Steam. If you've got a Steam account, you can now try the easiest way to make your own 3D games, free for fourteen days. Try out the sample maps that teach gameplay concepts, import some of your own artwork, or just play around with the editor and learning materials. The full version of Leadwerks enables access to the Leadwerks Workshop, where you can download more than 70 items, including models, sounds, texture packs, and even games made with Leadwerks. It also allows publishing of your own items to Steam. Try the Leadwerks Game Engine demo on Steam now.